﻿Bruce Goodman's "The Bubal Hartebeest"
Would you believe! 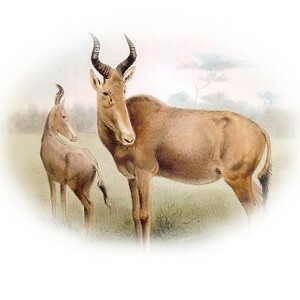 Scientists believed the Bubal Hartebeest to be extinct. Yet I saw one! It was possibly the last! It was thought that the Bubal Hartebeest went extinct in 1923 until they were found in the wild. Then in 1950 they were hunted to extinction. Except – I saw one the other day! I saw one in the wild! I can see why they were hunted to extinction. It was delicious.